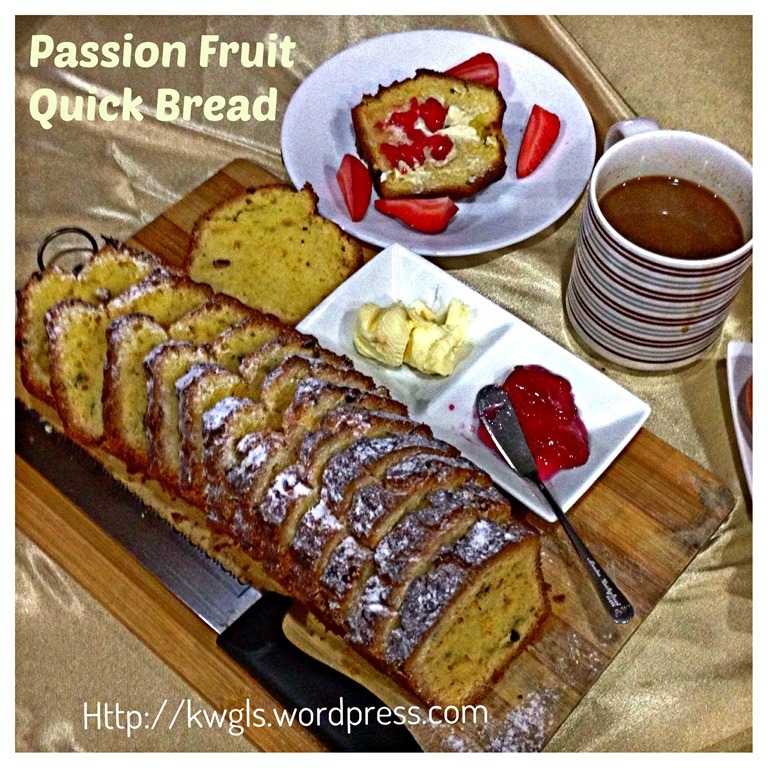 Quick bread is a type of bread that is leavened with leavening agents other than yeast. Quick breads include many cakes, brownies and cookies, as well as banana bread, beer bread, biscuits, cornbread, muffins, pancakes, scones, and soda bread.Preparation of a quick bread generally involves two mixing bowls, one which contains all dry ingredients (including chemical leavening agents or agent) and one which contains all wet ingredients (possibly including liquid ingredients which are slightly acidic in order to initiate the leavening process), although there are variations in which the dry ingredients are in a bowl and the wet ingredients are in a sauce pan off-heat. 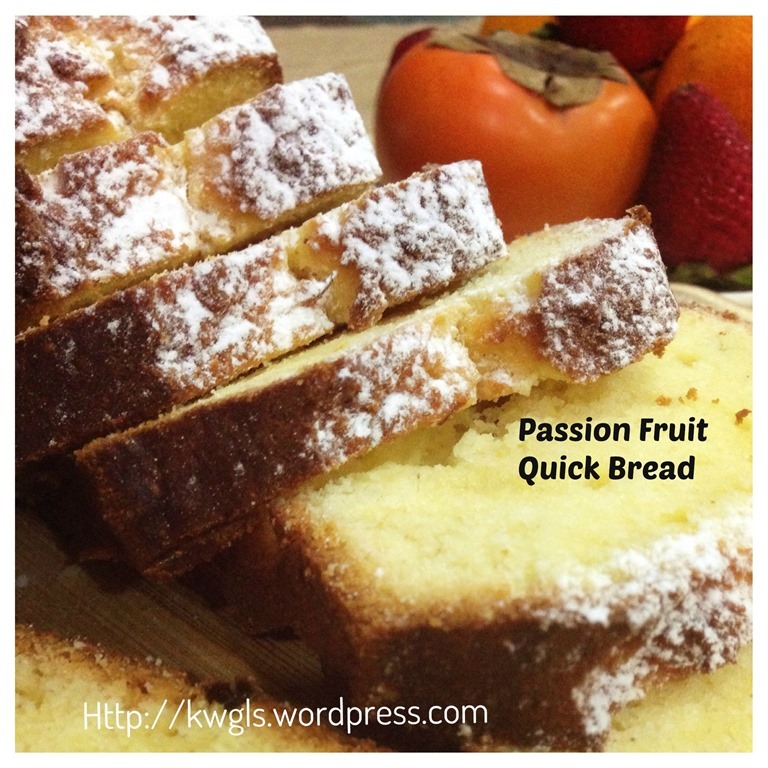 (http://en.wikipedia.org/wiki/Quick_bread). 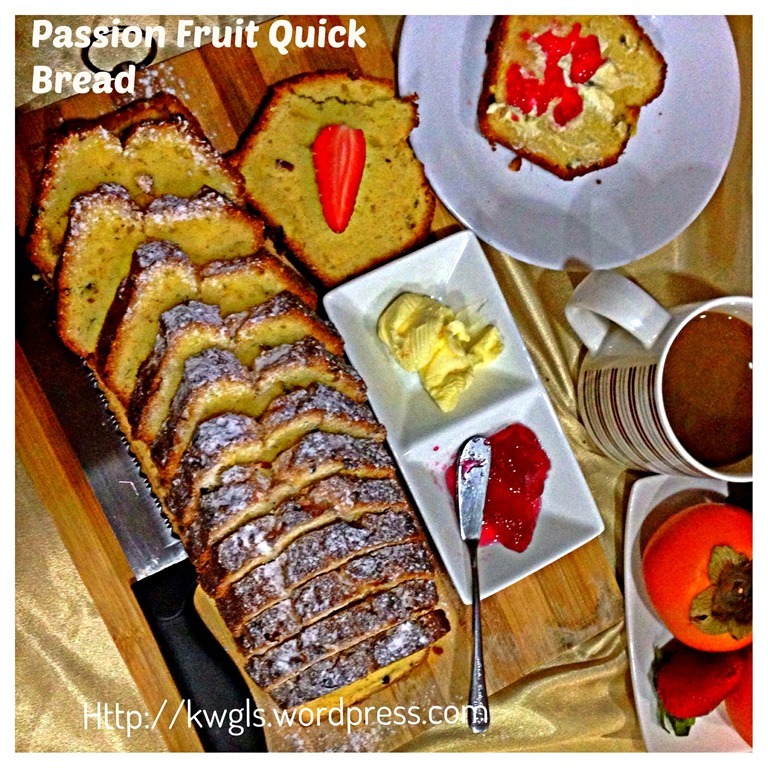 Quick bread do not use yeast but baking powder, baking soda or eggs to help it’s rising. 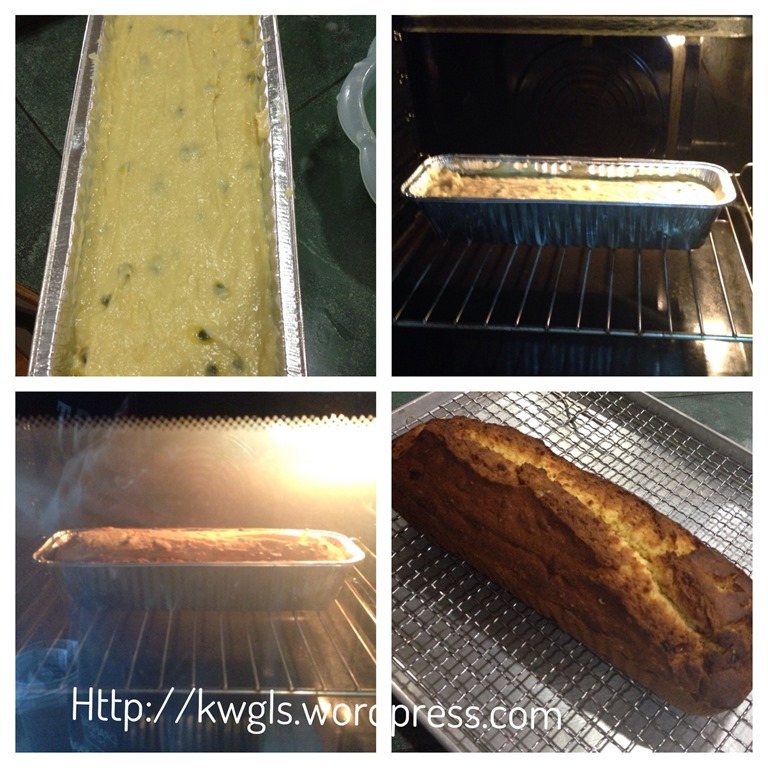 Yesterday, I took a step to try out a quick bread recipe and I am very satisfied with the outcome. 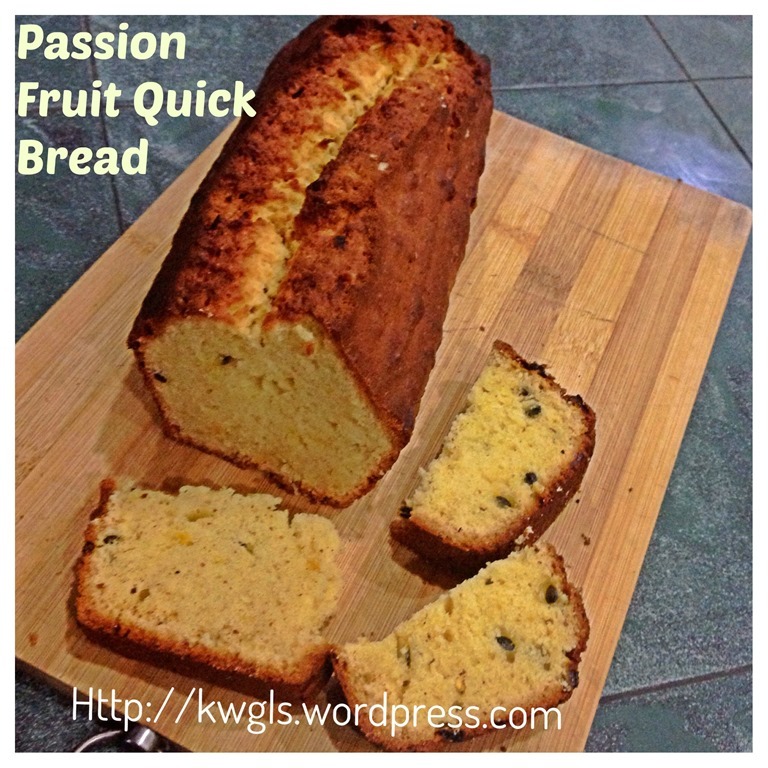 As I have 2 passion fruits sitting on the refrigerator, I have decided to get rid off them by preparing the passion fruit quick bread. 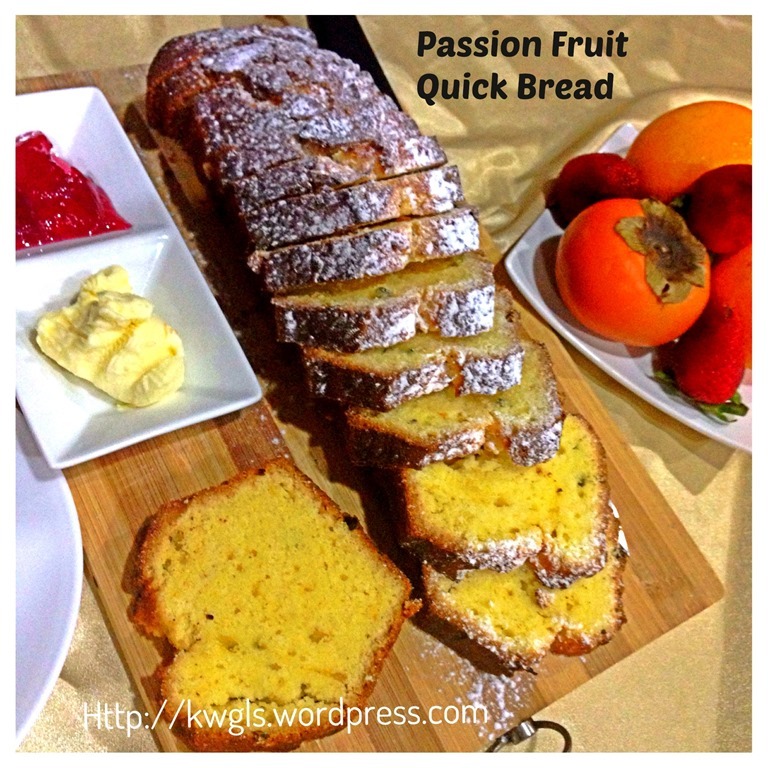 If you do not like passion fruit, please feel free to substitute it with orange juice and add nuts or dried fruits (such as cranberry) to become orange cranberry quick bread. As I like passion fruit, the taste is awesome. 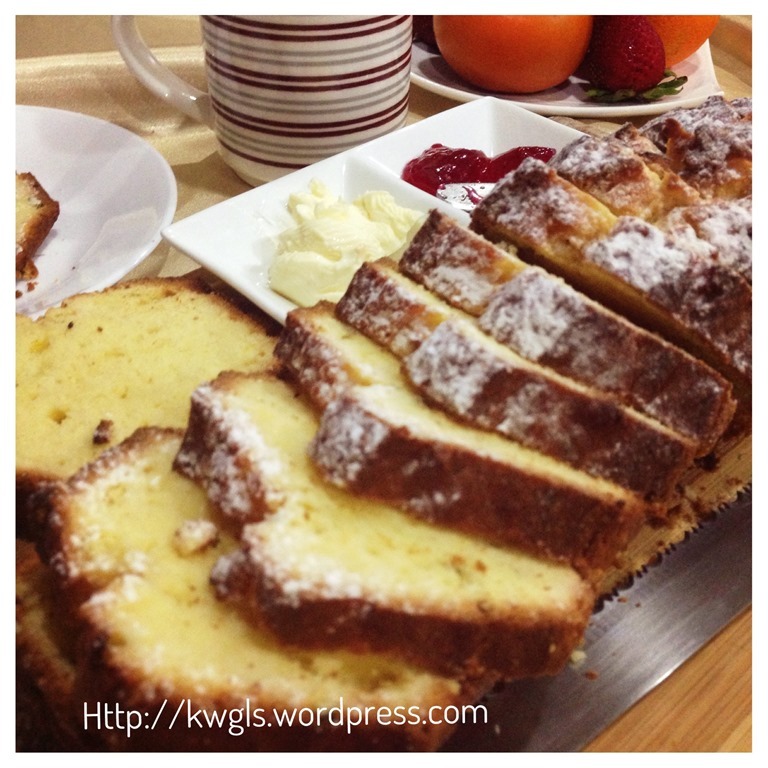 The characteristic of the bake is in between a cake and a bread. It is sweeter and moister than cake but less greasy as compared to cakes. Therefore it is definitely a healthier alternative when compare to other cakes. Though in this illustration, I have spread with butter and strawberry jam, but it is absolutely not necessary. The sweetness of this recipe is just right for me to go with any breakfast spreads. Since it is a mix and bake item, involve your kids and they will be happy to commit to the consumption of this bakes. Remember, variations are many. 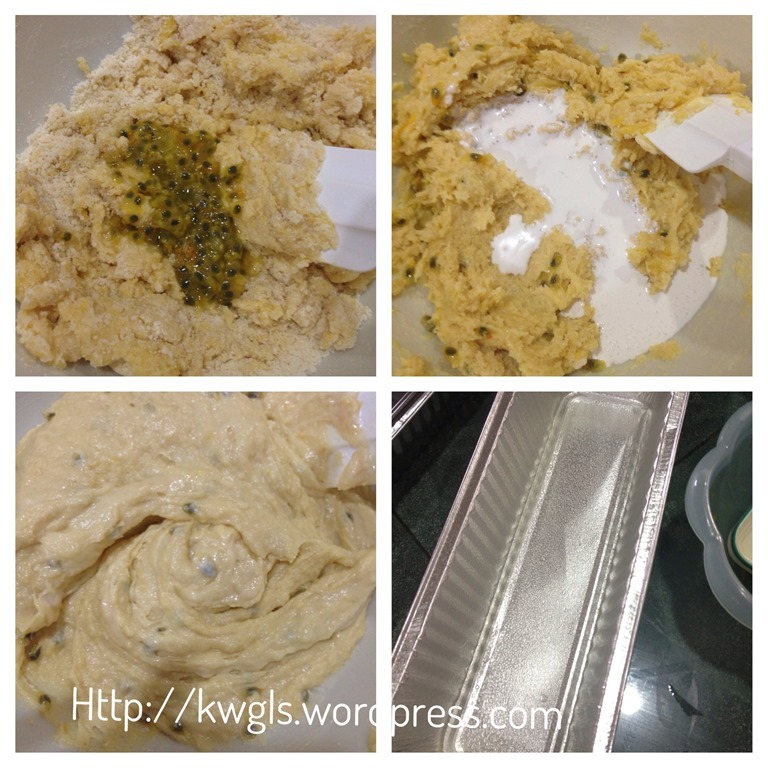 Just try this basic recipe and I am sure you will like it. 120 grams of fresh cream or fresh milk. Preheat the oven to 180 degree Celsius and lightly grease the prefer loaf tin. 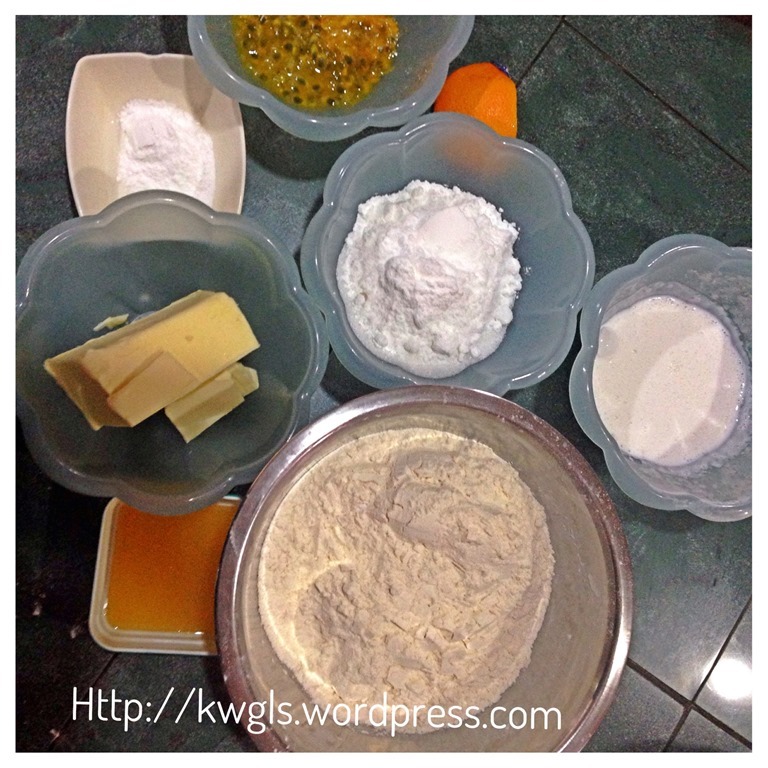 In a big mixing bowl, sift flour, sugar and baking powder together. 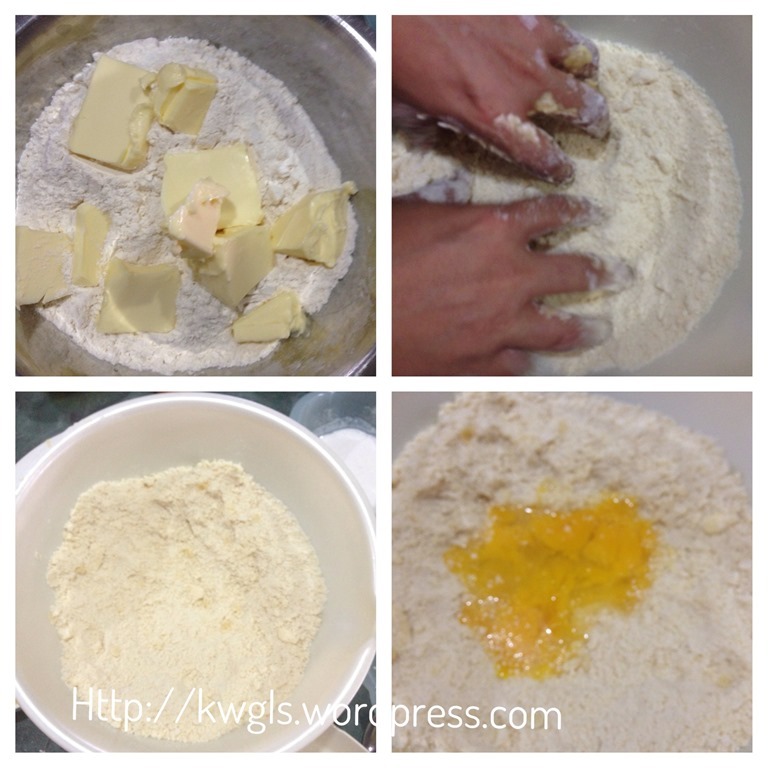 Put the butter slices and used your fingers tips to rub the butter against the flour until it is crumbly. Add in beaten eggs and use a spatula or wooden spoon to stir it until it is well mix. Add in passion fruit flesh or orange juice and followed by fresh cream/milk (in this illustration, I have used fresh cream to make it moister). Stir until well mixed. Transfer to the greased loaf tin. and level it. Bake in the oven at 180 degree Celsius for 30 minutes and reduce the temperature to 170 degree for another 15-30 minutes or until the skewer inserted come out clean. If there are signs of getting burnt, lower the temperature by 10-20 degrees Celsius. Either serve plain or with normal bread spreads. This is a good bake for new bakers. No complicated equipment and ingredients. Just mix and bake. Give it a try and I am sure you will like it. 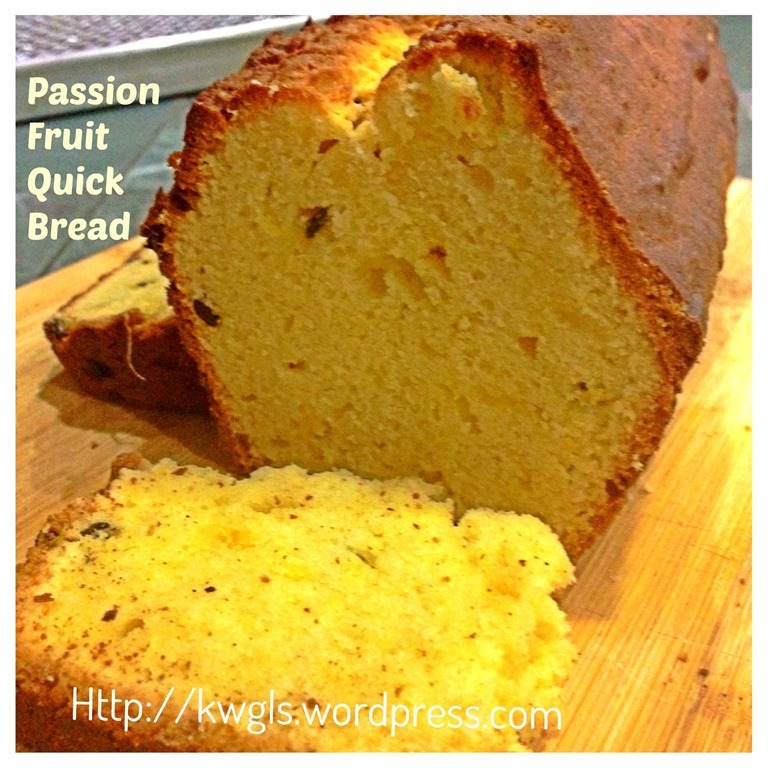 Remember you have many variations and possibly just substitute passion fruit with orange juices plus some orange rind will become an orange quick bread. Hope you like the post today. Cheers and have a nice day. 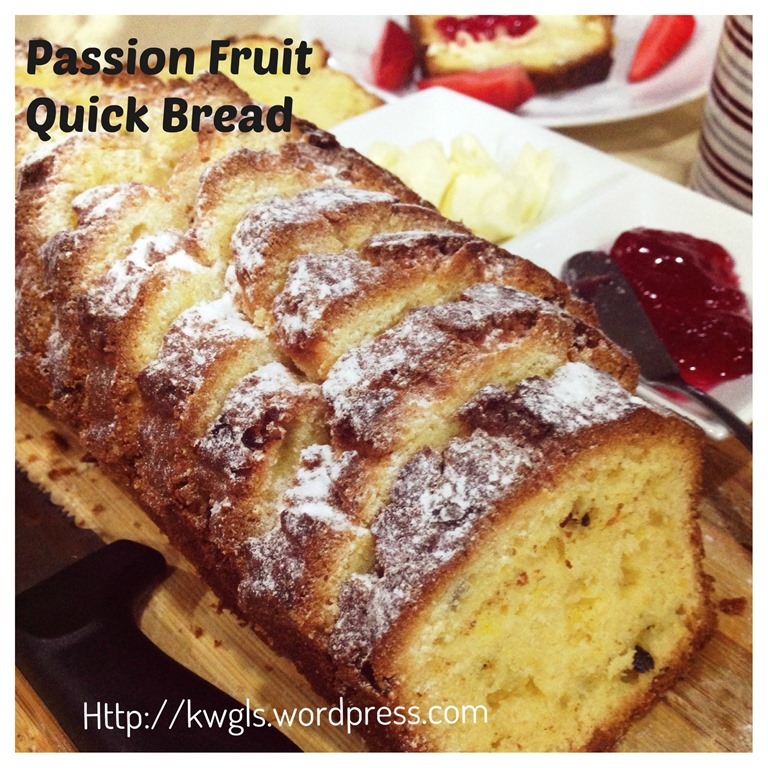 This entry was posted in Cakes and cookies, Food Preparation Series and tagged 8, GUAI SHU SHU, Guaishushu, kenneth goh, passion fruit quick bread, postaday, quick bread. Bookmark the permalink. YUM!! 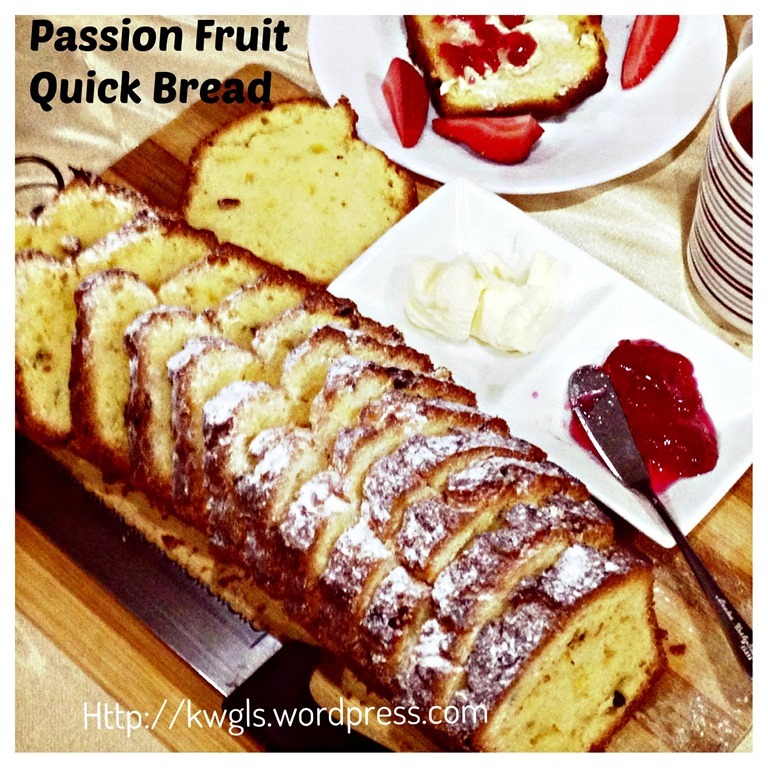 I love quick breads and adding passion fruit sounds amazing! Thanks for sharing at Saturday Night Fever – pinning now! See you tomorrow night!